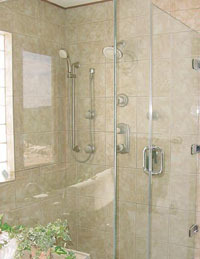 Shower and Bath Enclosures : Auto Glass : Atencio Glass Canon City Colorado : auto glass, windows, mirrors and more! 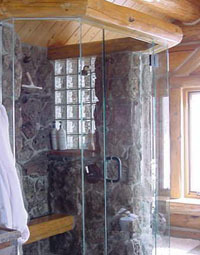 Your bath is a reflection of your style, and the glass professionals at Atencio Glass & Building Concepts Inc. pride themselves in helping customers select distinctive shower and tub enclosures that combine the timeless beauty of glass along with design simplicity that will create the perfect bath that's not only elegant, but also easy to maintain. Almost any metal finish and type of glass can be combined to match your décor in a particularly stylish way. We are committed to providing luxurious quality that you can feel and see every time you use your bath. We offer styles ranging from the high-end luxurious collections that feature 1/2" or 3/8" heavy glass, frameless designs and solid brass hardware to the budget conscious styles that feature 3/16" glass, aluminum framed construction and polished aluminum hardware. 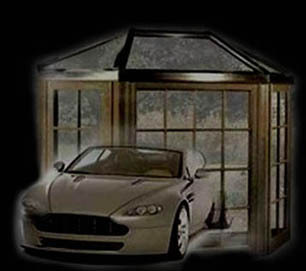 Most slyles also have a limited lifetime warranty available on glass and framing. Every design comes in a variety of different configurations and we'll come to your home with samples of each design in order to give you an accurate, detailed estimate at no charge.